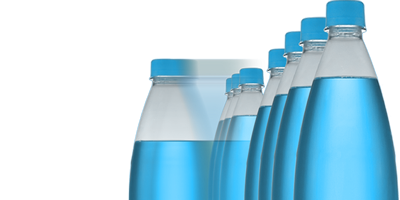 Finding leaks and closure faults: leakage check for plastic bottles. 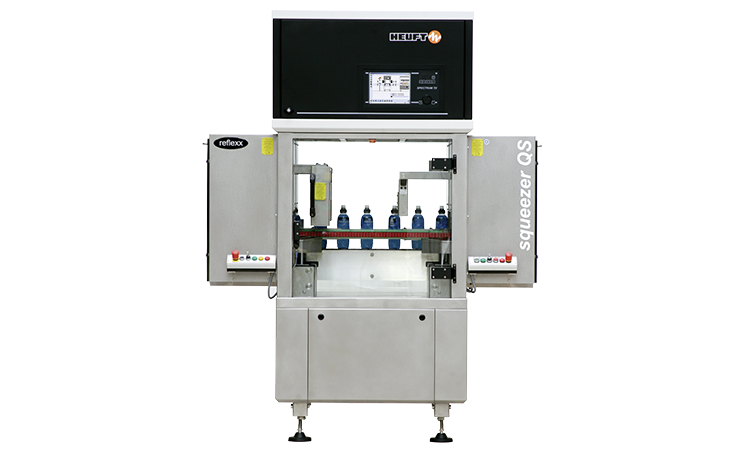 Tracking down minute leaks reliably: the HEUFT squeezer QS ensures the microbiological purity of sensitive drinks by identifying leaking PET bottles in-line and removing them immediately. 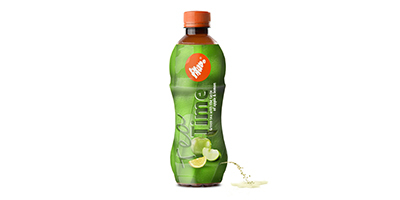 The system adapts itself independently to the changed container shape for a fast brand change. Finding leaks reliably: a comparative fill level detection and measurement of the internal pressure. 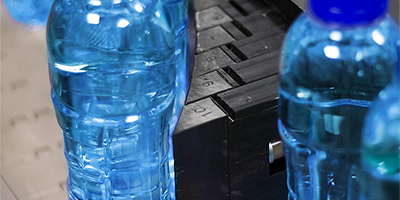 Leaks, stress cracks and microcracks: the HEUFT squeezer QS measures the internal pressure on the one hand and in addition carries out a comparative fill level detection in a compressed and non-compressed condition in order to find filled PET bottles with such faults reliably. A precisely controlled amount of pressure is exerted on the containers for this. The internal pressure is lower while the fill level rises if there is a leak. Even the smallest leaks are reliably tracked down in this way. 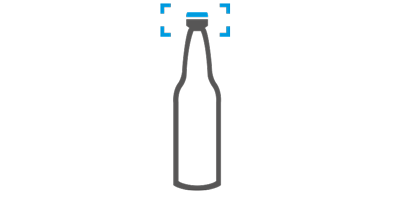 This safeguards the integrity of the product as well as the stability and steadiness of the bottle. 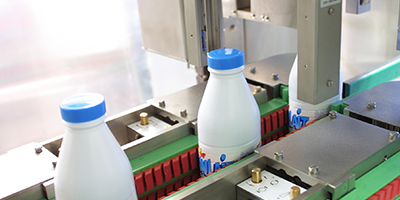 The conveyor belt guiding the containers adapts itself automatically to the changed bottle format for fast, fully automatic brand changes. Ensuring tightness: different possibilities for checking the closures. 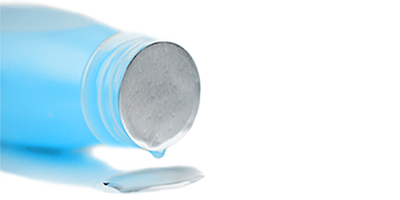 Missing, canted and defective: closure faults such as these threaten the tightness of the drinks packaging in the same way as the quality of its contents. 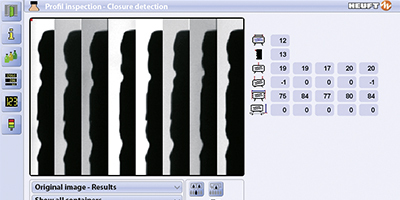 Different technologies for a closure detection can be integrated into the system in order to uncover them reliably. It can check the presence, position, completeness, integrity and brand affiliation of the closures precisely with special sensor, camera or ultrasonic technology depending on the requirements. 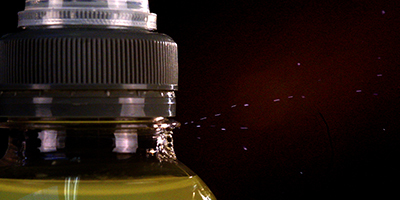 Thus the HEUFT squeezer QS provides the best results for every application and safeguards the tightness of the bottle sustainably as well as the quality of the product contained in it. The HEUFT SPECTRUM systems with their modular design can be extended at any time. 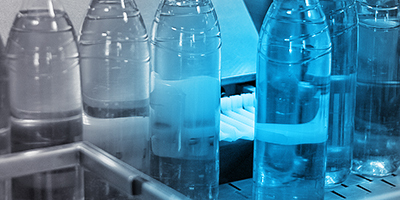 Camera, high frequency or X-ray technology is available for the fill level detection depending on the product and the task. The HEUFT VISION 360 module carries out a high-precision optical closure inspection as an option. The HEUFT squeezer QS not only finds such faults but also locates their causes in good time if required: it continuously monitors the performance of each individual filler valve and closer head for this and evaluates them statistically. Malfunctions which can cause serial faults are therefore identified in good time. This monitoring process exposes defective valves and closer heads before they fail completely. This makes it a valuable tool for preventive maintenance. Controlling centrally: one platform for all requirements. Precise, network-compatible and cross-system: the HEUFT SPECTRUM TX forms the basis for different technologies, modules and functions. The devices of the generation of the same name can be exactly adapted to individual requirements on site and retrofitted at any time due to this universal platform. A cross-system component equality of 70 per cent ensures a high availability of spare parts. 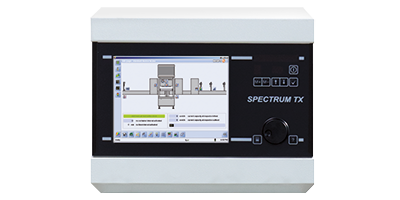 The central HEUFT SPECTRUM TX control unit creates a high level of precision during continuous product tracking and quality assurance due to its multiprocessing capability. A future-proof network connection ensures reliable remote maintenance and production data acquisition for optimum efficiency and productivity. In-house developed hardware and software and its own operating system ensure computing power and offer no opportunity for viruses or malware. Combining photographs and reliably detecting objects: image processing in real time. 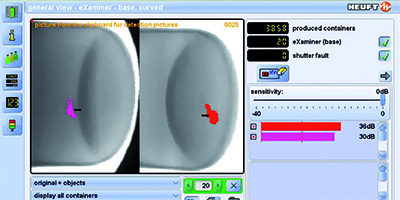 Fast, powerful and exact: combining several camera and X-ray images with each other and specifically detecting various objects. The HEUFT reflexx carries out all this in real time. The in-house developed hardware and software provides high computing capacity and is exactly tailored to the requirements of the in-line quality inspection. 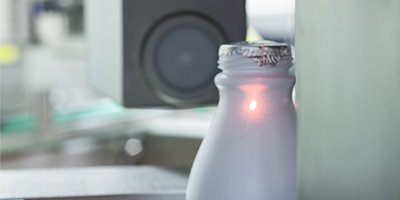 It generates high-resolution, noiseless detection pictures and analyses them precisely. Integrated filter technologies clearly differentiate between supposed and actual faults. This reduces the false rejection rate sustainably. Operating HEUFT systems reliably: graphical user interface with practical tools. Clear, helpful and specific: the HEUFT PILOT graphical user interface convinces due to an easy to understand, multilingual menu structure with extensive auxiliary tools. Therefore the reliable operation of the HEUFT SPECTRUM TX systems is not difficult. Important information and clear error messages with service notes provide the respective user with specific support. This avoids incorrect adjustments and shortens standstills e.g. during brand changes. Password protected operator levels adapted to the respective area of responsibility also contribute to this. Also integrated: a complete online user manual and a tool for the uncomplicated identification and direct ordering of spare parts. 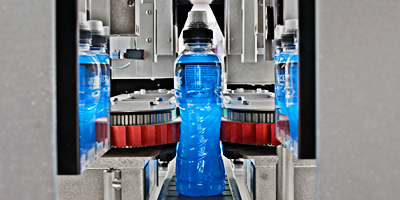 For example, the single-segment HEUFT mono rejector and the multi-segment HEUFT DELTA-FW and HEUFT DELTA-K systems are ideally suited for the reliable rejection of faulty full bottles made of PET.